Melvyn Bragg discusses the origins, manifestations and possibilities of intelligence, and examines whether we are born with it, or if it is something we develop as we grow. Melvyn Bragg and guests discuss a question that has stalked the twentieth century: Intelligence. 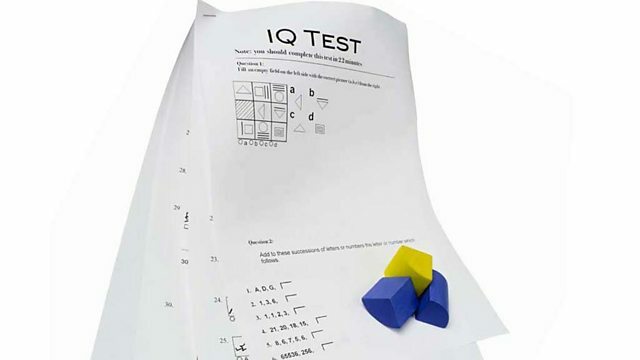 Since the first IQ tests were invented in 1905, the question of what makes Homo Sapiens stupid and what makes him clever has involved human kind in sterilisation, racism and misery. How do we define intelligence, how do we measure it; what are its origins and how do we uncover it? But are we any closer to understanding what this elusive quality of intelligence is? The debate still rages as to whether we are born with it or whether intelligence is something we develop as we grow, and evidence for either camp seems to pile up almost daily. With Dr Ken Richardson, educational psychologist, former Senior Lecturer, Open University and author of The Making of Intelligence; Professor Michael Ruse Philosopher of Biology, University of Guelph, Ontario and author of Mystery of Mysteries: Is Evolution a Social Construction?